One way to update your home’s curb appeal is to have a new roof installed. Standing seam metal roofing is a popular option that creates a sleek, contemporary look you will enjoy for many years. Available in a variety of colors and panel widths, this metal roofing complements most architectural styles including traditional homes, charming California bungalows and more formal Tudor-style abodes. 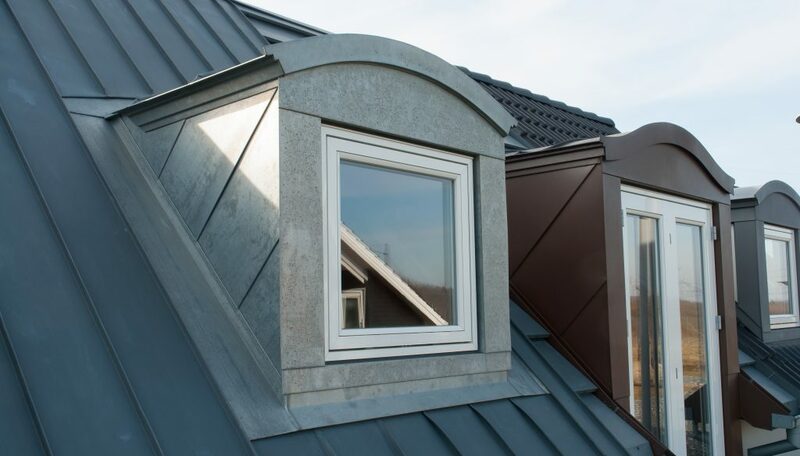 An alternative to traditional asphalt roofing shingles, this metal roofing is comprised of long panels typically made of aluminum, galvanized steel or blended metal that run from the ridge of the roof to the eaves. Panel seams are connected by raised fasteners to give this roofing its distinctive look while helping to prevent water leaks. Metal roofing can be easily cut and customized for placement around chimneys, dormer windows and porch overhangs. There are many benefits to raised seam metal roofing. When properly installed, this lightweight, fire-resistant, EPA-designated ‘cool roof’ acts as a heat conductor to help keep your home cooler in the summertime and warmer in the winter. This energy-efficient roof can help lower your overall energy costs. In addition, an experienced roof installer can install this roofing material quickly. Give your traditional home an updated look with a standing seam metal roof. This roofing has clean lines and a flawless continuity that complements your home’s entranceway, large front windows and stucco exterior. Narrow metal roofing panels add a little texture to the home without taking away from its beauty. Natural earth tones add a subtle pop of color to the roof without making it the focal point. Play around with color and roofing panel width to give your California bungalow a fresh, modern feel. Wider panels create a bold, industrial look, while narrow panels blend in for a more traditional appearance. Many bungalows are one or one and one-half story with classic architectural details including unenclosed rafters and a sloping roof. Raised metal panel roofing highlights these unique details without making your home appear small. You can go bold with the roof color or choose a more neutral shade depending on the existing colors of your home. With its high-pitched roof and timber façades, your Tudor-style home is already a show-stopper. Narrow metal roofing panels complement the intricate facades without altering the overall style of your home. Adding a metal element to a wood, concrete or brick exterior creates more visual interest. A dark or light-colored roof will suit this beautiful manor home.